Crafters Deluxe Hot Knife Kit - Dino Rentos Studios, INC. 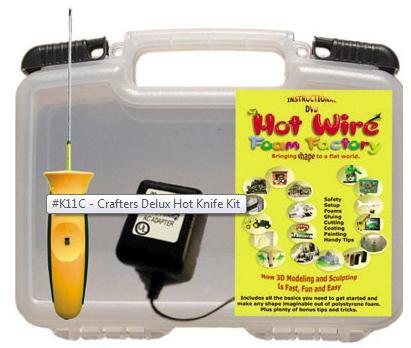 Kit includes: Hot Knife, Crafters Power Supply, and DVD, all in a handy carrying case. Comes with 12 feet of tool cord. Now comes with a handy slide switch right on the handle.